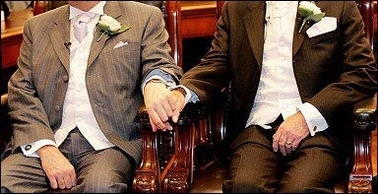 Unmarried and gay couples in England and Wales have finally gained adoption rights under a landmark law that has come into force, offering new hope to thousands of abandoned children. Previously, only married or single people could become adoptive parents. But the new legislation that came into force Friday -- seen as one of the most significant changes in modern adoption history -- enables couples who are not married and gay and lesbian partners to apply. "These changes will have a major impact on thousands of families," said Felicity Collier, chief executive of the British Association for Adoption and Fostering. "We know there were people eagerly awaiting December 30 because they are an unmarried couple who would like to adopt jointly," she said. The law would encourage more people to consider adoption, which will ultimately help the children who need looking after. "This is very important at a time when too many children wait too long in temporary care waiting for an adoptive family or, in some cases, never have the chance of adoption at all," said Collier. Some 3,800 children in care were adopted in England and Wales last year as well as about 1,500 others who were adopted by step-parents, Collier said. However, a further 1,000 to 2,000 children in care failed to find a family. The Adoption and Children Act took three years to come into force after it was passed by parliament in 2002. Collier said the new law was much needed because society had transformed since 1976 when the previous adoption legislation was enacted. In the past, most children given up for adoption were born to single mothers. Currently 40 percent of births occur out of wedlock, she said. As well as opening the way up for more adoptions, the new law also introduces so-called special guardianship orders. Foster parents, relatives and other care givers can apply for such an order, which is expected to last until the child is 18. It means the infant is no longer the responsibility of the local authority. Other changes include giving birth mothers and other birth relatives the legal right to ask for an intermediary service to trace an adoptive adult and find out if contact would be welcome.